Praise be, hockey is back. I wrote a really optimistic post ahead of last year’s season opener because I truly thought the Sabres had things figured out. They went on a seven-month death march to the draft lottery instead. I’m certain that this year’s roster is drastically better than the one they iced in 2017-18 but I’m not about to make the same mistake twice. Well, like 25 times. The Skinner-Eichel-Reinhart line is going to be a ton of fun, I just hope Housley keeps them together for most of the year. I really feel like that unit is going to make some magic. Casey Mittlestadt had a quiet preseason but it seemed like he and Kyle Okposo picked up where they left off in the chemistry department. If they get favorable matchups, that pair could make some noise. Obviously Rasmus Dahlin is going to be a ton of fun to watch even if the rest of the defense corps are a little thin. The one area I’m still waiting to see more from is in goal. I’ve never been a huge fan of Carter Hutton but he looked pretty strong in the preseason, so I’m at least hopeful that he’ll give them more than what Robin Lehner and Chad Johnson offered last year. Linus Ullmark is going to have an adjustment period so I’m not buying in on the projections that have them getting drastically better goaltending than last year. This duo will certainly be better, but I’m still in wait and see mode. There’s a ton of scuttlebutt about dealing O’Reilly, if the third overall pick is actually in play and we have official word that the Sabres are in the goalie market after confirming Robin Lehner won’t be back. So here’s a quick pre-draft mailbag to whet your appetite ahead of this evening. Matt/@matt_hervan – Where are the deals? I don’t know, Matt. But I’m getting sick of waiting. The mailbag is back post-Asplund and pre-draft. Before jumping into the questions for this edition, I thought I’d share some thoughts on the arena as it’s been in the news quite a bit recently. The evolving arena renovations news has been very interesting to follow and it’s something I have a lot of interest in. I re-posted my arena renovations wish list last week to share my thoughts with anyone who may have missed it the first time around. Obviously that list is pretty pie in the sky in terms of some of the stuff I’m hoping for. However, things on this front haven’t quieted down. It doesn’t appear that any work has started at One SHK III Plaza, which isn’t exactly ideal, but it’s very clear this is at the front of mind for a lot of people. Kim Pegula’s recent comments caused quite a stir and as a result a few people submitted questions regarding potential renovations for this week. This is me addressing those questions but also adding my two cents on the current status with the arena. The idea of the Sabres building a new area is extremely intoxicating. Although KeyBank Center was built right in the middle of a big boom in new facilities around the NHL, it seems to lack a lot of the flexibility other arenas offer. I feel that the atrium gets over looked for how unique the space is, but beyond that, it’s a very utilitarian structure. There wasn’t a lot of thought given to common areas, nor is there much flexibility to create that type of space either. Add in other factors like the tall roof and there’s plenty of reasons that a mulligan would be preferable. I struggle to see a new arena making sense given the amount of hype and investment made with HarborCenter. There is a lot of boasting about having the only “three rink” facility in the NHL. Even if that claim is a little creative, the layout of the two buildings certainly plays a role in keeping the Combine and potentially landing other key arena-focused events. A new building, even if it was built just down the block on the surface lots, eliminates that convenience. That being said, Mike Harrington noted that current projections have the current renovation budget at about $50 million and, frankly, that number seems extremely low to me. If the target is to bring KeyBank Center up to par with the rest of the league, that cost would need to exceed $100 million. And if they’re in line to spend $100 or even upwards of $200 million on renovations which they’ll be somewhat handcuffed on – due to the building’s current layout – does it make more sense to bump the budget closer to $500 million and get the state-of-the-art arena of your dreams? When it comes to spending other people’s money, I’m something of an expert. It would be incredibly exciting to get a shiny new arena downtown. Just look at what the Red Wings did with Little Caesars Arena for an idea of some of the trends in new arena design. But if the Pegulas are going to require a large public buy-in, I wouldn’t be nearly as excited at the prospect. That factor really poisons the well for me and pushes my preferences towards a renovation since the requirement for public money would be that much less (plus the other issues I mentioned above). But in a vacuum? Give me the new toy and let’s see how cool they can make it. Two in the Mailbox – What would O’Reilly and Ristolainen Swaps Look Like? Back at it post, post lottery. Let’s get to it. Adam/@sharpndpensel – You’re Jason Botterill. You decided to reshape the roster, you want to move Ristolainen for a forward and Ryan O’Reilly for a defenseman. Who are your trade partners, and who are you targeting? This is a topic I’ve been tossing around for a little while now. In this space, on Twitter and in private conversations. Given that this subject was submitted by a few people for this mailbag it seems like a good time to dig in deeper. 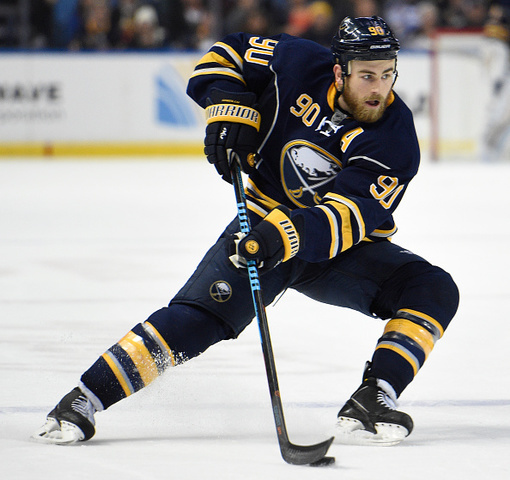 The first thing to consider is that trading two talents like O’Reilly and Ristolainen in the same summer would be fairly unlikely. That’s a lot of negotiating to consummate two deals of similar stature. 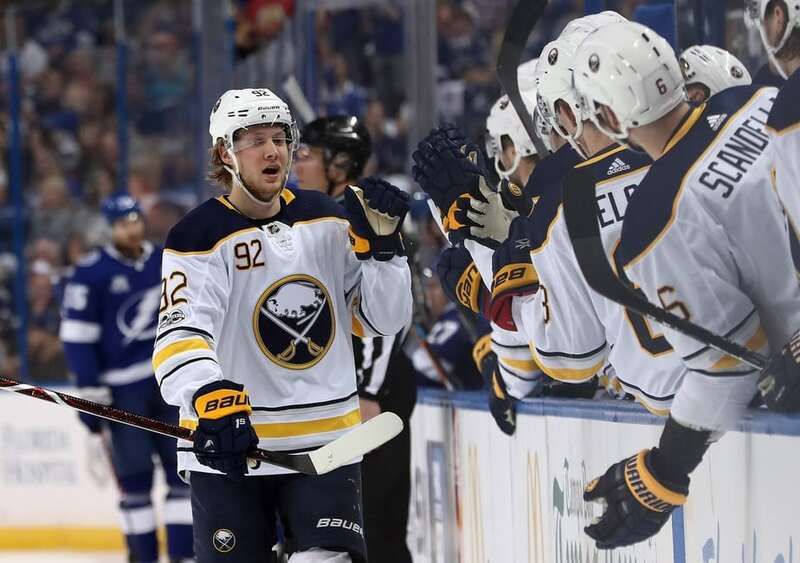 But from a hypothetical standpoint, these two players offer the opportunity for the Sabres to flip their depth and shake up the locker room without becoming exposed at a key position. But the key word here is hypothetical. Joe/@jneumann522 – Let’s assume #90 is available, what teams would be interested and what would be a reasonable return? O’Reilly is going to be a hot topic until he’s moved or until the season starts. He’s one of the few players who carries enough value to help the Sabres in a trade and his cap hit is big enough that a deal would be beneficial from a financial perspective as well. You can put down just about any team with a semblance of need at center as a potential opening for O’Reilly but teams the Sabres would want to deal with would likely whittle that list down a fair bit. Carolina is an obvious candidate as they not only have a surplus of defensemen but are said to be searching for forward help. St. Louis was working on a center at the deadline after they flipped Paul Stastny. I wouldn’t even rule out Edmonton given their ongoing search for hockey players.